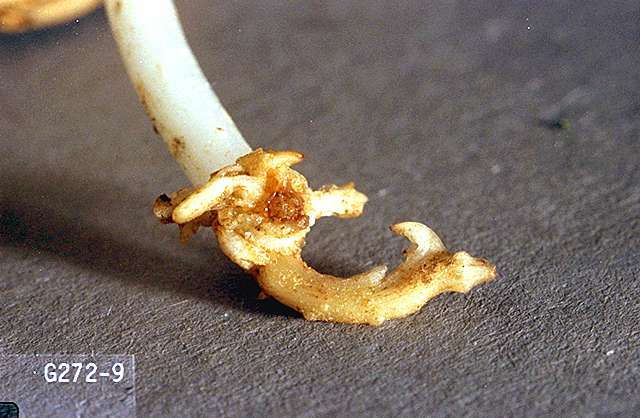 Pest monitoring Infested soil can be treated with insecticides, but the effect is limited because of the symphylan's ability to migrate deep into the soil. Insecticides may help give the plants a chance to establish in a protected zone. We do not have an action threshold for symphylans in peppers in Oregon. In general, preplant field evaluation for symphylans involves grid sampling at one acre intervals, digging 6 x 6 x 12 inch holes (0.25 cubic foot), spreading and carefully examining the soil from the hole, and using an action threshold of 0.5 to 1 symphylans per sample. Many organisms prey on symphylans in the field, including true centipedes, predatory mites, predaceous ground beetles, and various fungi. However, little is known about their effect on symphylan populations. Symphylan damage generally is associated with soils that are high in organic matter content and have good soil structure. 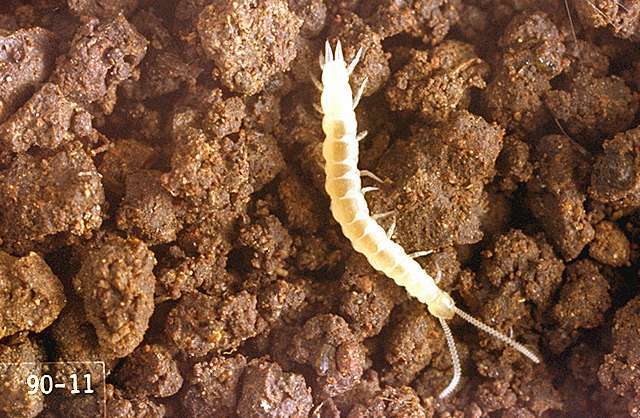 Symphylans do not thrive in either compact or sandy soils, because these soils do not provide them with adequate tunnels for their movement (symphylans cannot make their own burrows). There is some evidence that packing down the soil surface after planting may reduce injury. Flooding for 2 to 3 weeks has controlled symphylans in some situations but has been unsuccessful in others. Even in the best circumstances, flooding only reduces populations, and they can increase when conditions are again favorable. Effectiveness of rotations with nonhost crops has not been studied. beta-cyfluthrin (Baythroid XL) at 0.022 lb ai/a. PHI 7 days. REI 12 hr. Retreatment interval 7 days. Do not exceed 0.132 lb ai/a per season.